A fuel cell vehicle is a type of electric car that is different than your standard electric car which uses a battery. In a fuel cell vehicle, a fuel cell is used to generate the electricity it needs instead of a battery. A fuel cell undergoes an electrochemical reaction by taking chemical energy and converting it into electricity. Basically, hydrogen gas is used as the main fuel source. It is combined with oxygen in order to create the electrochemical reaction needed to stimulate the electricity. This electrochemical reaction needs to be continuous, unlike a regular car battery which already has the necessary chemicals for generating power inside of it. Below are the 5 top advantages for using a fuel cell electric vehicle rather than a battery electric vehicle. No Oil Needed – Since hydrogen is used as the fuel source, there is no need for traditional fuel sources like gas or oil. Fewer Gas Emissions – Hydrogen only causes heat and water to be emitted from its tailpipe. You won’t find any carbon emissions coming out. Better Fuel Efficiency – Fuel cell cars have been found to give drivers more miles per gallon than gas or diesel engine cars. Silent Operation – The electrochemical reaction of fuel cells is mostly silent, unlike the process of burning fossil fuels. Easy Maintenance – Fuel cell vehicles have fewer moving parts than regular vehicles. This makes them easier to maintain. Below are the 5 top disadvantages to using a fuel cell electric vehicle rather than a battery electric vehicle. Expensive Vehicles – Fuel cell vehicles tend to be on the expensive side since the fuel cell technology is still quite new and unique. You can expect to pay upwards of $50,000 for the vehicle. 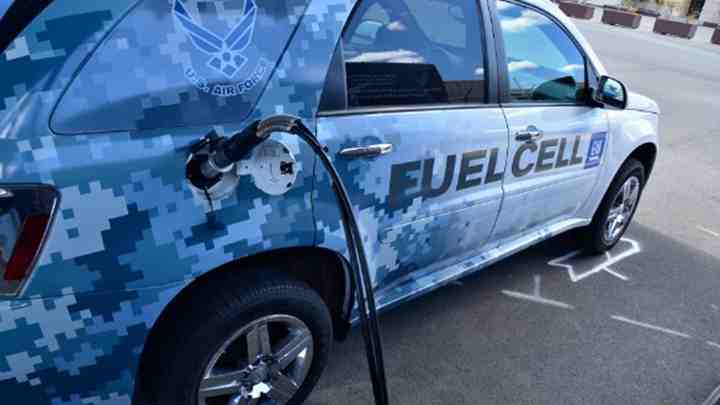 Few Hydrogen Stations – Even if more fuel cell vehicles were to be produced, there simply aren’t enough public fueling stations which distribute hydrogen. Low Durability – Compared to the durability of internal combustion engines, fuel cell systems are greatly lacking strong durability. This is especially true in humid environments. Low Reliability – You will get about half the reliability from a fuel cell system that you would with an internal combustion engine. Still Unknown – Fuel cell vehicles are still in the dark ages. The general public doesn’t even know what they are and there is little information about them available at most car dealerships.